It is important to know what is under the bonnet of the car, especially for the Show Me Tell Me questions in your Practical Driving Test. Q. Open the bonnet, identify where you would check the engine coolant level and tell me how you would check that there is the correct level of fluid. A. 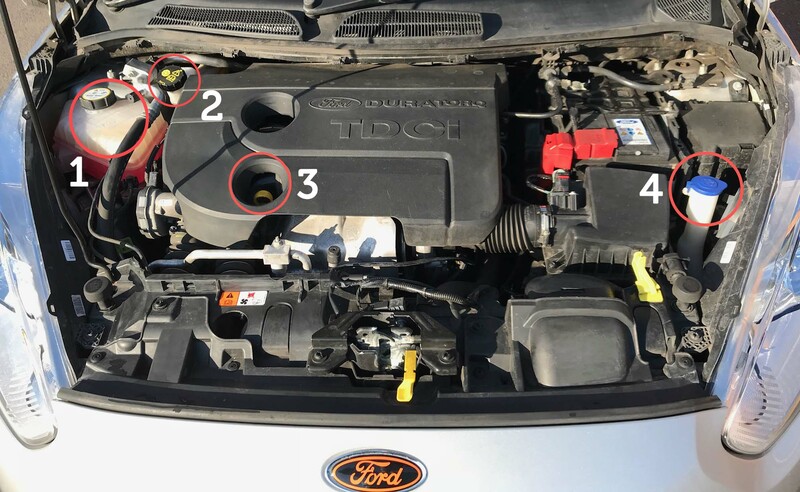 Identify high/low level marking on the header tank where fitted or on the radiator filler cap and describe how to top up to the correct level. Q. Open the bonnet, identify where you would check the engine oil level and tell me how you would check that the engine has sufficient oil. A. Identify the dipstick/oil level indicator, explain that you must check the oil level against the minimum and maximum markers, when the engine is cold or has cooled down. Q. Open the bonnet, identify where the windscreen washer reservoir is and tell me how you would check the fluid level. A. Identify the reservoir under the bonnet and explain how to check the fluid level.